Van Nicholas Tuareg 650B MTB Mountain Bike Frame; This bike is built to hammer trails at speed Singletrack riding is it"s domain! Have you found the Van Nicholas Tuareg 650B MTB Mountain Bike Frame Cheaper? As with all Van Nicholas models, performance is paramount but aesthetics satisfy desire. The Tuareg geometry is set to enhance singletrack responses as well as comfort not available elsewhere. Comparitively short chainstay give great climing and traction, however the tubing profiles are designed to soak up the trail buzz that would otherwise be tiring on many equivalent hardtails. Full 3AL/2.5V Ti construction using aerospace grade cold-worked, tapered and size-specific and multi-shaped tubing with CNC machined detailing. Available in 14, 16.5, 18, 19.5 inch. Hydroforming allows us to optimise the structural rigidity of a smaller gauge of metal, so the only thing lost is weight, not performance. Fewer parts ensure a lighter assembly than conventional cups. The larger diameter bottom bracket increases the stiffness significantly. We designed our dropout from every angle to ensure maximum efficiency at one of the highest-strain contact points of the frame. The classic MTB wheel: sharp acceleration, manoeuvrability and sure-footed, rock-hopping prowess. Halfway between 26” and 29” wheels, 650B’s offer the speed and agility of the former and the trail-blazing rollability of the latter. 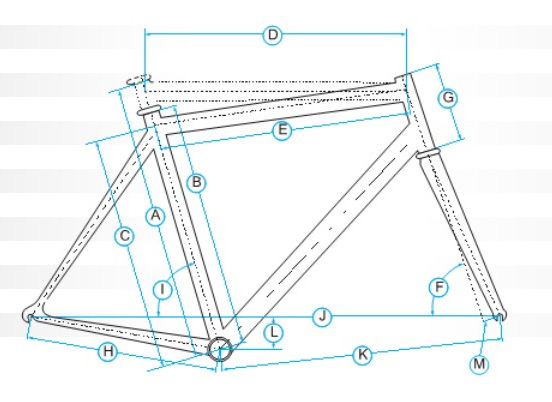 What do you think of Van Nicholas Tuareg 650B MTB Mountain Bike Frame?